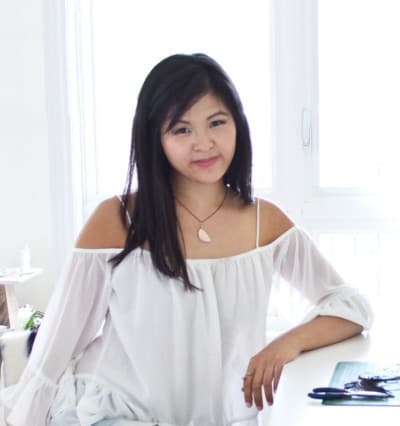 For this instalment, we caught up with Sabrina Chin of Love at First Blush to find out more about her company, which has specialized in leather feature jewellery and leather statement cuffs since 2009. SC: I make leather jewellery that is inspired by flora and fauna. 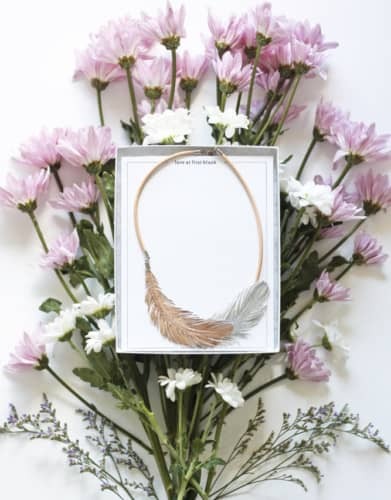 Our signature piece is the Leather Feather Necklace, which is one of the first pieces I made for my Etsy shop back in 2009. I’ve always loved creating things from my hands and working with colours. I went to school for fashion design, so I knew early on I wanted to be involved in a creative field. I feel deeply satisfied once I finish a piece I’m working on. The best feeling is when you can bring joy to a customer when they try on your pieces. My ceramic bear mug from Creations Li, an art print I recently bought from Santorini, my Hinkleville succulent planters, my hand tufted wool rug from West Elm, and my bed. I customized a necklace for my sister for her birthday. 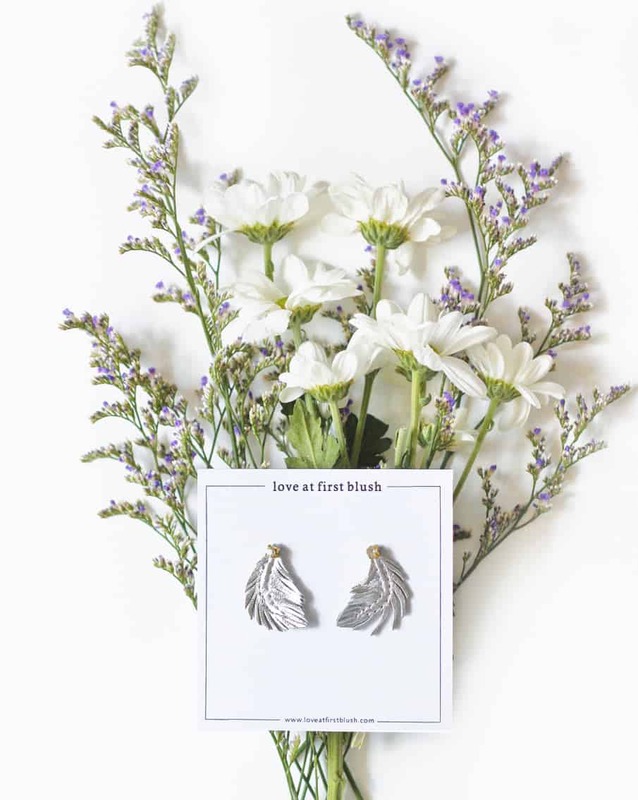 I sent a drawing of my sister’s little lovebird to MaryMaryHandmade, and she cut the piece out in silver. It was such a lovely personalized gift, and she was happily surprised. I love that the Etsy community has fostered a marketplace of unique expression and a chance to purchase from those artists. The Etsy Made in Canada show is one of the highlights of my year, as I get to connect with all of my customers in person and hang out with some of the most talented Etsy artists and designers in Toronto. This is my full-time gig, and I love every minute of it.